Headquartered in Denmark, NKT employ more than 3,500 employees in 18 countries. In 2016, the company launched a new strategy and organizational structure, which raised the demands for a centralized HR system that would improve internal communication and help leaders ignite a stronger performance culture. Read more about how NKT Group implemented SAP SuccessFactors and reduced complexity and streamlined work procedures. 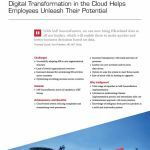 To streamline work processes and successfully adapt to the new organizational structure, NKT searched for a proven and future-proof cloud-based HR software. And after a bidding round, they chose to work with itelligence for the implementation of SAP SuccessFactors. SAP SuccessFactors is an integrated, cloud-based HR solution that provides companies with all the necessary tools to unleash people’s full potential. Out of the many different modules available, NKT has chosen to implement 3 main features: the HR core system Employee Central, Performance & Goals and Recruiting. After implementing the solution in only four months, NKT launched SAP SuccessFactors in September 2018. And now, after less than six months, NKT has already experienced tangible benefits from working with the solution. The three modules in SAP SuccessFactors, or ConNKT as NKT has intelligently named the system, work closely together, with Employee Central operating as the core of the HR system. From here, NKT leaders have an overview of the organizational structure across countries and divisions, and can gain access to employees’ personal profiles. The Performance & Goals module enables leaders to set employee goals and rate their performance as part of employee assessments and feedback. Finally, the Recruiting function streamlines all aspects of the recruitment process in one place, which eases the workload, cuts costs and attracts highly attractive employees. “By consolidating our HR data in one place, leaders can now act faster and be more data-driven. With streamlined processes and easy-to-use tools, leaders gain fantastic insights into the world of every employee to help them grow and succeed,” says Frantisek Sourek, Vice President, HR, NKT Group, who goes on to elaborate on the efficient implementation phase: “itelligence’s well-proven “ready-to-run” project methodology was key in the efficient implementation process. The itelligence specialists managed the process from A to Z, enabling us to move forward and enter the digital era in HR,” Frantisek Sourek concludes. 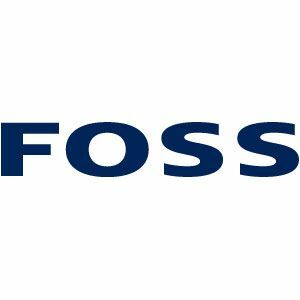 Foss has just completed the global CRM roll-out project of introducing SAP to all sales staff and technicians. SAP is now available on 600 employees’ telephones and tablets. Great potential for efficiency.